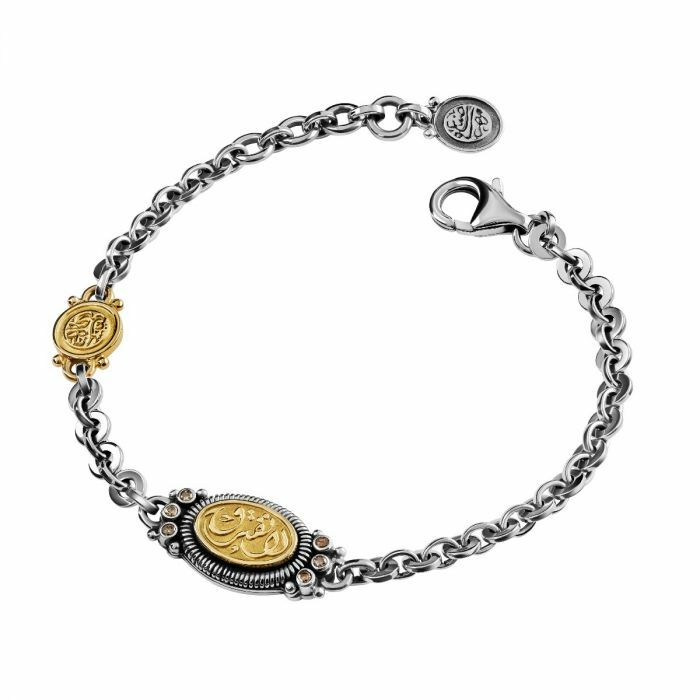 18kt Gold and Sterling Silver Bracelet adorned with Calligraphy and Champagne Diamonds. In our online store you will find the most complete collection of Azza Fahmy handcrafted luxury jewellery stocked anywhere in the world. We are able to deliver to most continents across the globe and most countries for catalogue product within 15 working days, bespoke orders may, understandably, take longer. All deliveries are handled by world renowned international couriers including DHL. For more information please consult our FAQ or contact [email protected].